-Around 1820 (when Joseph Smith was receiving his first vision in upstate New York), the first Protestant Christian missionaries arrived to Hawaii. The missionaries found that the traditional Hawaiian religion had just been abandoned, and that the people were looking to find a new spiritual practice that fit with the new world. The missionaries taught christianity and set up schools and congregations across the islands. The people were eager to learn how to read and write. -Mormon missionaries arrived in Hawaii in 1850. A decision was made to focus missionary work on native Hawaiians (1865). 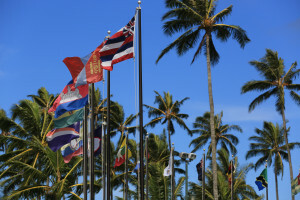 -There was a large push for the Saints to gather to Zion (SLC), the problem for the new saints in Hawaii was that the Kingdom of Hawaii prohibited Hawaiians from emigrating. -In 1853, President Brigham Young instructed Elder George Q. Cannon to find a temporary gathering place in Hawaii, until they could prepare themselves to gather with the rest of the saints. -In 1854, Elder Joseph F. Smith proposed that Laie be the gather place in the Hawaiian islands. Instead the elders selected the Palawai Basin on Lana’i …. Laie would have to wait. The saints began moving to Lana’i (property on Palawai) under the direction of the missionaries. The community was named “City of Joseph.” Only 5% of the members actually moved. 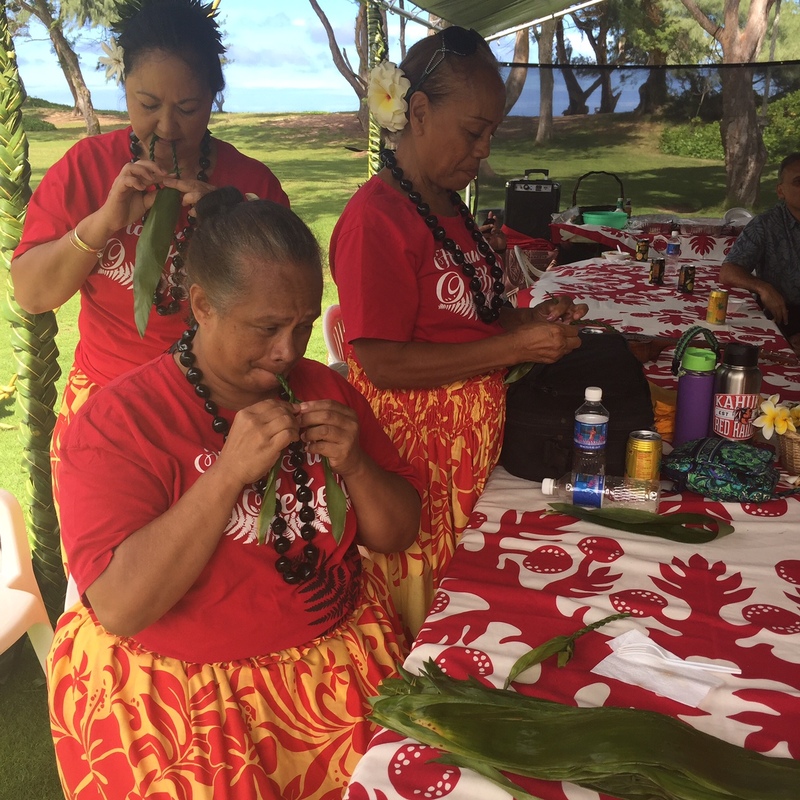 The Elders of Laie taught several of the Sisters in our group how to make Lays. -On December 23, 1864 Elders George Nebeker and Francis A. Hammond arrived in Honolulu for the purpose of establishing a plantation where the Saints could gather. Elder Hammond heard about a plantation on O’ahu called La’ie. Thomas T. Dougherty, United States Vice-Consul in Honolulu, was eager to sell his ranching operations. He demanded that the sale must be effected at once. President Young and Heber C. Kimball came and went with him over the plantation, calling his attention to the many desirable features it presented for the gathering place of the native Saints, and also saying in a very positive manner that this was the chosen spot. All doubts were set at rest and the purchase was made. One day when I was walking along one of these paths, I saw President Brigham Young approach me. Said he, “This is the place to gather the native Saints to.” He seemed to fully comprehend the surroundings, and in that easy, familiar way, so characteristic of him, indicated the advantages afforded for a settlement. No matter what my bodily condition might have been at that time, the apparent meeting was in the open air and in the broad light of day. It was the facilities of the place as represented them, and ever afterwards that appeared to me the best place on the Islands for the gathering of the Saints. -Elder Hammond negotiated the sale for $14,000 on January 26, 1865. Farming operations began immediately. -President Young wanted La’ie to be a gathering place that would provide spiritual and physical well-being for the natives. -The Church was growing and sugar plantations were being cultivated (and were helping the island become prosperous). Here’s some fascinating facts around the significance of Laie for the Church. 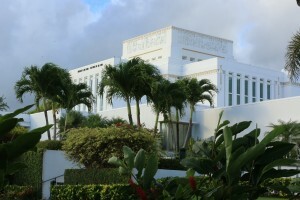 The Temple was dedicated on Thanksgiving Day in 1919 by President Heber J. Grant, which was a fulfillment of prophecy. Later, 1864, William W. Cluff further affirmed the prophecy of the temple. He was one of the missionaries sent to Hawaii to establish the church. George Q. Cannon Also made a prophecy by saying that if they would only be faithful enough, the time would come when someone would be given the power to seal husband and wife for time and eternity so that their children would be born under the covenant. During a 1915 visit, President Joseph F. Smith dedicated the land for a temple to be built. John A. Widstoe said the location couldn’t have been more beautiful. Pearl Harbor: On December 7, 1941, as most people in Laie were getting ready for Church in a social hall, they noticed many noisy planes flying overhead toward kaneohe. Some members claimed they saw a japanese plane attempt to drop a bomb on the temple without success. Because of WWII, few missionaries were called to serve in Hawaii. Laie survived the rationing and shortages better than any other place in Hawaii because of the cohesiveness of the community. After the war, members wanted to build another chapel, but could not afford to pay for it so they started to raise money. 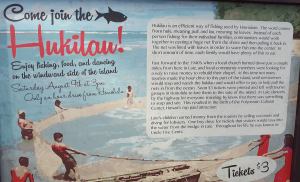 Therefore, they decided to stage a hukilau for tourists in order to help pay for it. 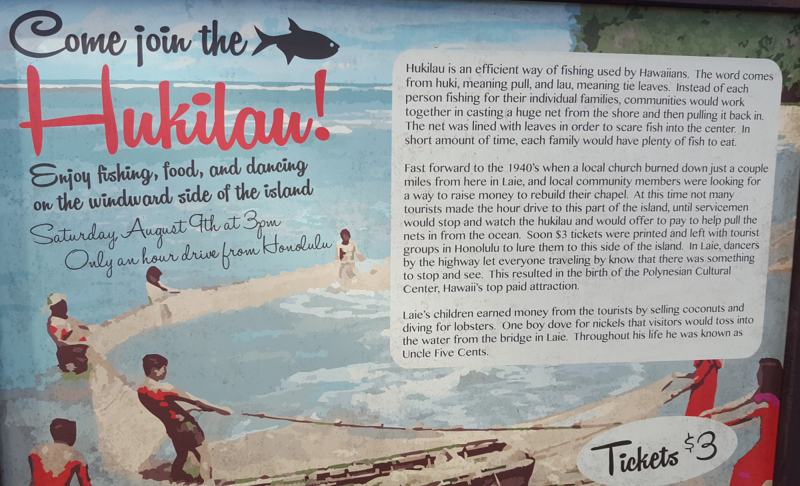 The Hukilau: Thousands of people came out to enjoy one of these in order to raise money for the new chapel. Almost 2000 visitors participated (1930). A Hukilau includes all kinds of authentic dancing and other cultural performances. 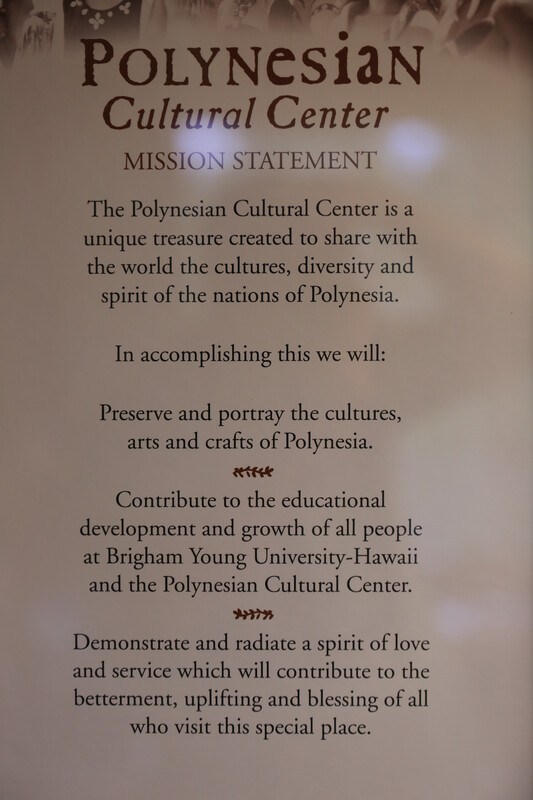 Many of the volunteers that dedicated their time and talents to the Hukilau also ended up working in the PCC. 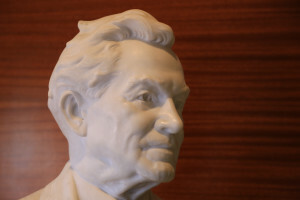 President David O. Mckay was passionate about education and ever since his first visit to Laie in 1921, he wanted to do something about the education of the great people there. When President McKay was made president of the church in 1951, the education of members in the south pacific took priority. The school taught curriculum for the last two years of high school and first two years of college. The college opened in the fall of 1955 with a temporary campus while the permanent campus was being built. The permanent Campus was built by “building Missionaries.” Tuition was $75 per year. The permanent campus was dedicated 3 years after the temporary campus was built. 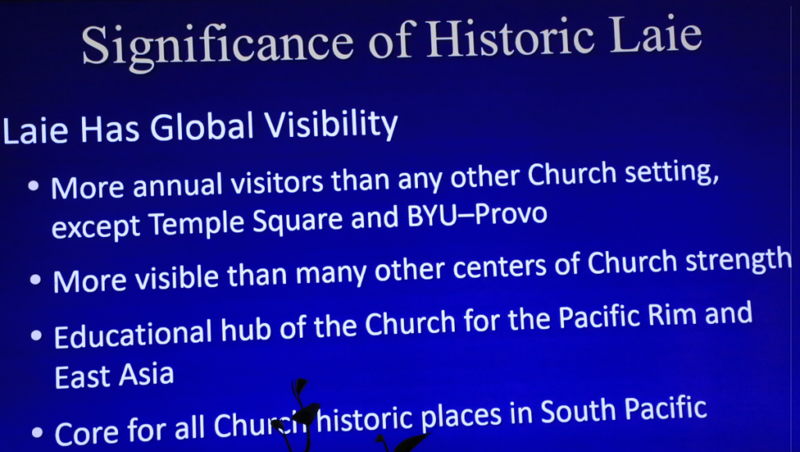 Many bishops, stake presidents, temple presidents, and even mission presidents and General Authorities in the pacific and Asia are products of the CCH. We were very fortunate to get to tour BYU Hawaii the successor to CCH. 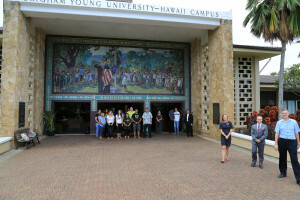 We got to meet many wonderful s tudents and see what a special place BYU Hawaii is. We had a great time visiting with one of the Executive Assistants at BYU-H who was originally from Hungary. She met her husband from Mexico on campus. Neither one would’ve been able to go to a University if it weren’t for the IWORK program offered which allows students who wouldn’t be able to afford college otherwise to be able attend BYU-H and work. 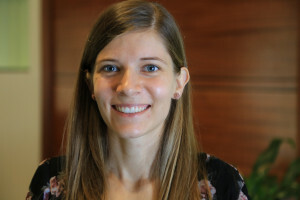 If they go back to their home country upon graduation their student debts are forgiven. A pretty amazing program and the students are very grateful and work hard. A Sister Missionary helping the International students to practice their english. The influx of new ethnic groups to Laie sparked a new twist to the gathering concept. Elder Cowley first expressed the idea of creating a cultural center at an O’ahu Stake conference on March 11, 1951. The idea behind this cultural was to help entertain and inform visitors as well as providing for a solid way for the students to pay for their travels and tuitions. The PCC was dedicated in 1963 by President Hugh B. Brown. Not all of the brethren of the church were in favor of the idea of creating a revenue generating center. 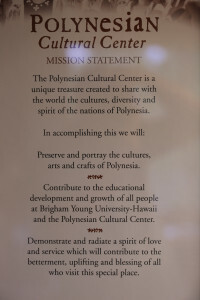 Even though there were many pessimistic predictions about how much attention the PCC would get since it was so far away from other tourist attractions, it successfully became Hawaii’s most-visited paid attraction, giving thousands of students the opportunity to share their cultures with millions of visitors. The theater went from 600 seats to 1300 seats and then a new theater was needed to be built to accommodate for 2800 spectators. In June 1966, Elvis Presley came to film a segment of his movie Paradise Hawaiian Style at the PCC. In the 1970s, the PCC went through a major expansion and the First presidency modified the role of the center. 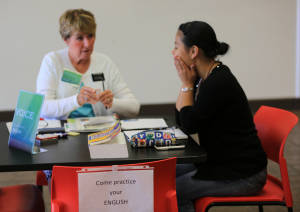 Priority shifted from providing student employment and financial support for CCH to fulfilling its role as a major missionary tool in giving large numbers of visitors a favorable experience with the Church. The people who had made the former Hukilau’s successful transferred their talents over to the PCC. The newly added college and cultural center caused the population to triple. The biggest change in Laie was a social change. It was a cost. Before the rapid growth, no one would lock their doors and people would just walk into each other’s homes. With the additions of the PCC and College, life seemed to get a more complicated and busy on Laie. By 1973, all land in Laie that was zoned for residential housing had been filled, so the gathering had to stop. The carrying capacity of Laie is still the biggest frustration to expansion. 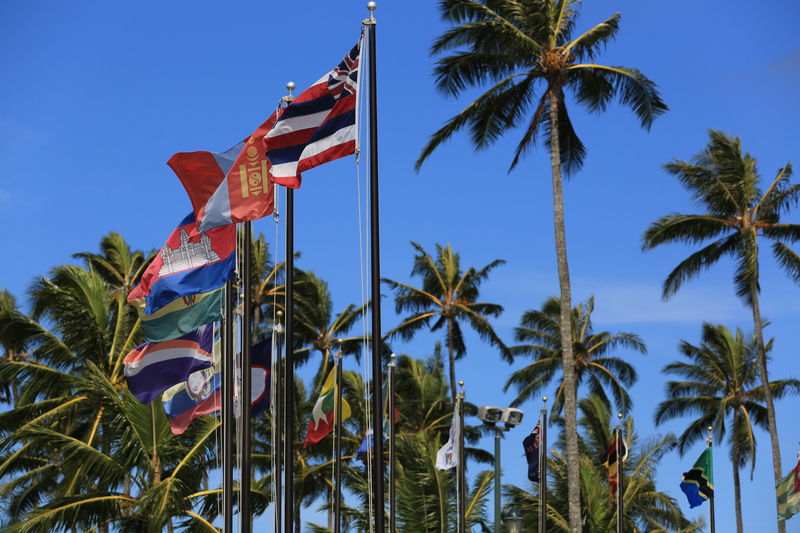 The bulk of Hawaii has the impression that Laie wants to stay isolated from the rest of the world. However, the church and its entities in laie have worked to change that perception and to integrate Laie into a larger world. The legacy and history of Laie continues to get passed down by story in the families that live on the island. This is a special city with special people. The history and culture make Laie it amazing place to experience. This entry was posted in Polynesian Cultural Center on November 20, 2016 by Andy Day.